How to use my mailing list? Enter keywords (or URL) and let the search engine find thousands of targeted emails. The EU General Data Protection Regulation (GDPR) is respected with an email selection tool. Works with more than 35 countries ! Detect-Email is able to search emails around the world (America, Europe, Africa...). 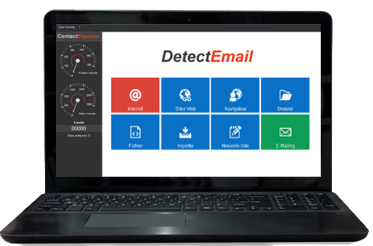 Find up to 40,000 emails a day ! Immediately after your secure payment, you receive your license key and invoice by email.